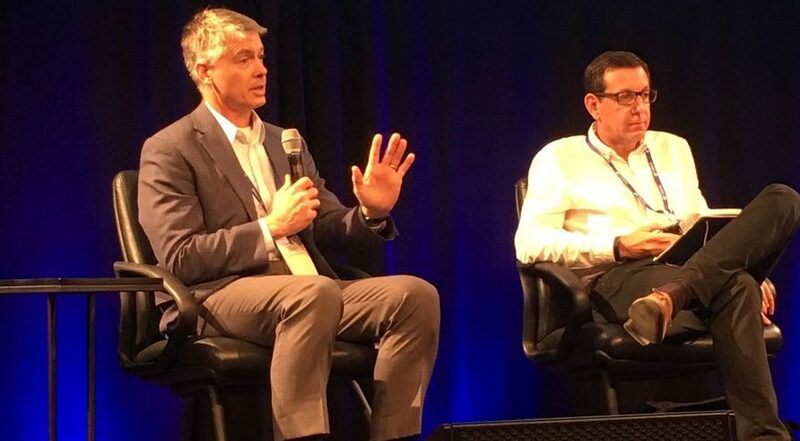 MOUNTAIN VIEW, California – While there may be enough customer demand for two or three megaconstellations, it will be difficult for the ventures to attract enough financing, according to analysts speaking at the Satellite Innovation conference here. Chris Quilty, president of Quilty Analytics, a financial services firm based in St. Petersburg, Florida, sees demand for two or three constellations serving distinct markets like broadband and machine-to-machine communications. If demand is strong for broadband communications in the developing world, perhaps that market could sustain two ventures, Quilty said. “But I think by and large we don’t need three carbon copy OneWebs out there competing with one another,” he added. Before offering any services, the megaconstellations need to raise enough capital to build and launch spacecraft, which could be challenging. Nick Flitterman, co-founder and telecommunications head for Portland Advisers, a financial advisory firm based in the United Kingdom and Hong Kong, sees global demand for two or three megaconstellations but said it will be difficult to finance that many. To attract funding, companies need to show investors demand in the form of contracts and revenues. It is easier for constellations serving an existing customer base to demonstrate those revenue commitments, Flitterman said. Ventures addressing new markets will have more trouble raising money, he added. To win those pre-launch contracts, the ventures often offer their initial customers a discount on services. That strategy, while necessary, raises the question, “How much future value should I give up to get my venture started up front,” said Jason Tofsky, Goldman Sachs managing director.